As one of the United Kingdom’s largest independent flour millers, Whitworth Bros. Ltd. (WBL) prides itself on its ability to supply customers with high-quality food-safe products. WBL has also recognized the importance of monitoring key elements of its plant equipment to ensure the company is able to meet customer demands. In 2009, WBL made the decision to invest in an acoustic monitoring system in order to move from a reactive to a proactive maintenance strategy. Part of this undertaking was to employ a condition monitoring (CM) technician to roll out the system across its production sites. WBL wanted the best technology available to minimize any potential for unplanned production downtime. 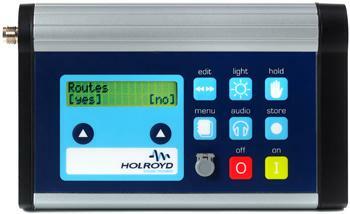 The company considered various monitoring options, including vibration and temperature, and attended numerous trade shows before eventually discovering the Holroyd instruments. WBL started collating data-capture routes across all its sites and within a short period of time began data acquisition and analysis. With the analysis software, new data could be quickly downloaded and compared against historic data for all machines in each production area. Once data-acquisition routes were established, condition monitoring of the production-critical plant began. This enabled WBL to take a proactive approach to monitoring and maintaining equipment at the company’s other sites. The acoustic monitoring system readily identified machines that were in need of remedial action. Machines that were thought to be beyond routine servicing were withdrawn from service as part of a planned maintenance activity. Data collection now takes place on a regular basis for all critical plant machinery. This allows engineering resources to be directed to the plant in need of maintenance. The process is organized as part of a planned, proactive activity, rather than as the result of a machinery breakdown. WBL utilizes a suite of sensors that are compatible with the acoustic monitoring system. The standard magnetic-mounted sensor is used to collect the vast majority of information, with the handheld, extended probe enabling data capture in hard-to-reach areas. Low-profile sensors have also been installed to allow critical plant data to be gathered. All three sensors are readily connected to the system, and data can be captured almost instantaneously. WBL currently performs routine monthly data captures, which are supplemented with weekly collections for any machines suspected of having an underlying bearing issue. One-off readings help to correctly diagnose individual machine issues as they arise. Coverage at one of WBL's sites includes the collection of data spanning 2,500 separate data points. This ensures a comprehensive dataset, which allows machine condition trending to be completed. WBL has devised a cost-metric calculation to assess the savings from the newly implemented condition monitoring activity. This has proven beneficial in helping to justify the expenditure and resource costs allocated to this particular CM strategy. The results show that the CM approach has significantly reduced the potential for unplanned production stoppages. The company is now investigating technology that would allow condition monitoring of oscillatory equipment (flour sifters) and will continue to watch further advances in an effort to minimize future plant breakdowns as well as maximize production efficiency across all its sites.